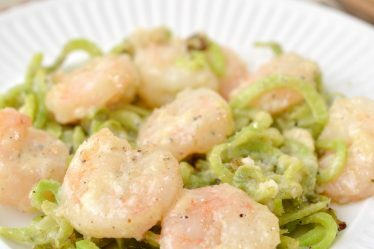 Have you wondered if you Can you have pesto on keto diet? 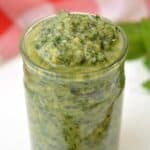 This homemade Keto Pesto recipe is Keto friendly and absolutely delicious. I have been asked this question, again and again. 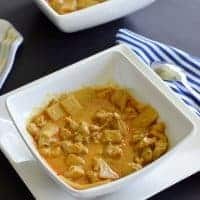 Can you have pesto on keto diet? Yes! 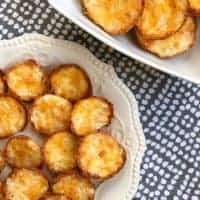 This easy Keto recipe is absolutely delicious and tastes good on a Keto pizza or Keto chicken recipe. 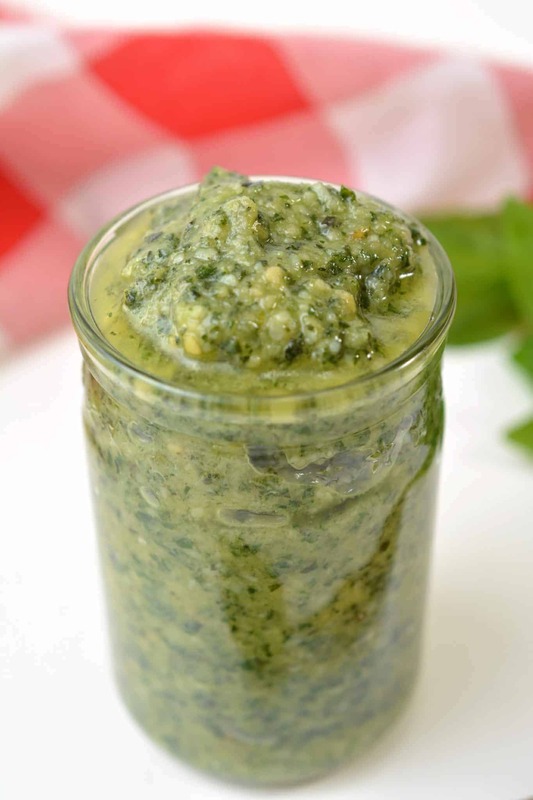 Pesto is one of the kind of of recipes that I like because there are so many great ways to eat them. If you doing menu planning for the week, you can make up a larger batch of low carb pesto and use it for multiple recipes. 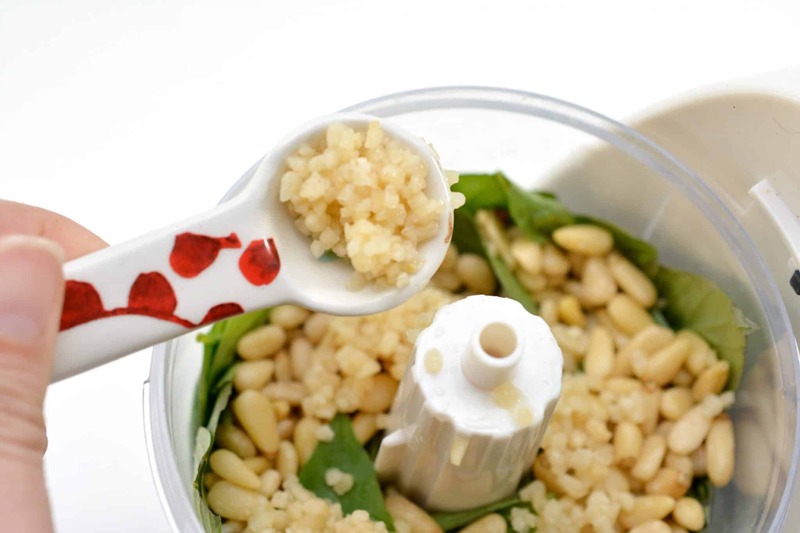 How do you use your Pesto? 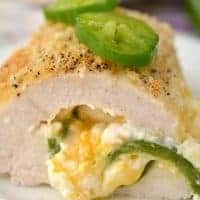 You might also like our Keto Tuna Melt, Keto Crab Cake and Keto Pigs in a Blanket. How do you make fresh pesto? 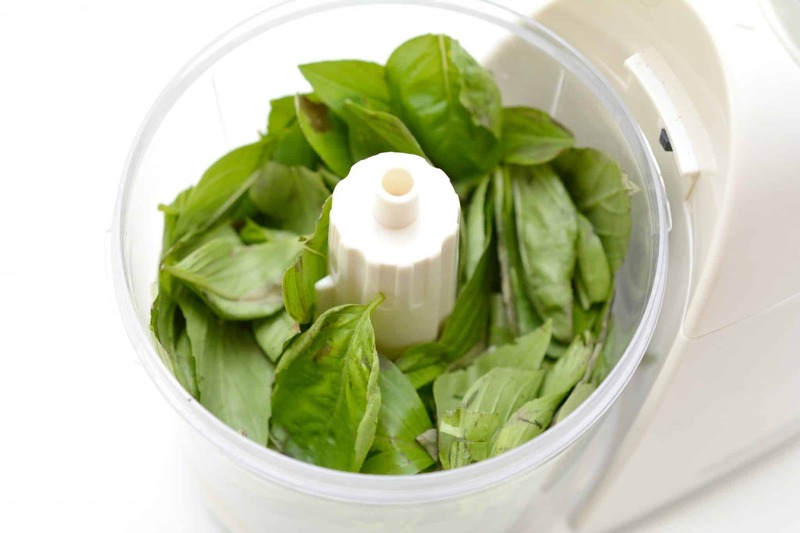 Place 2 cups of fresh basil leaves into the bottom of a food processor. 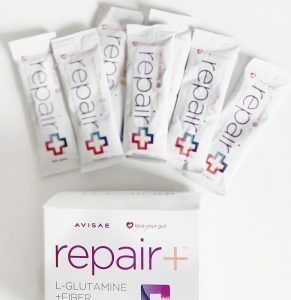 Pack them down so that there is plenty of room for the rest of the ingredients. Add ⅓ c. of pine nuts. 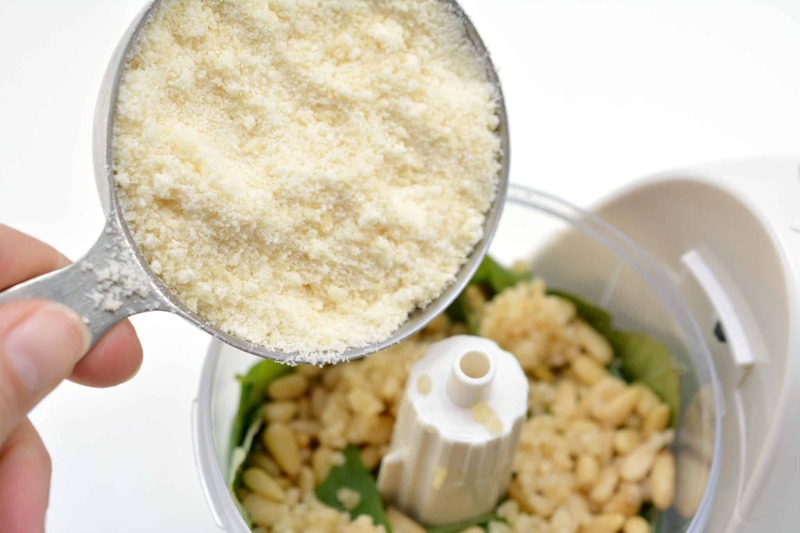 Place 3 cloves of minced garlic in the processor. Top the cheese with salt and pepper to taste. 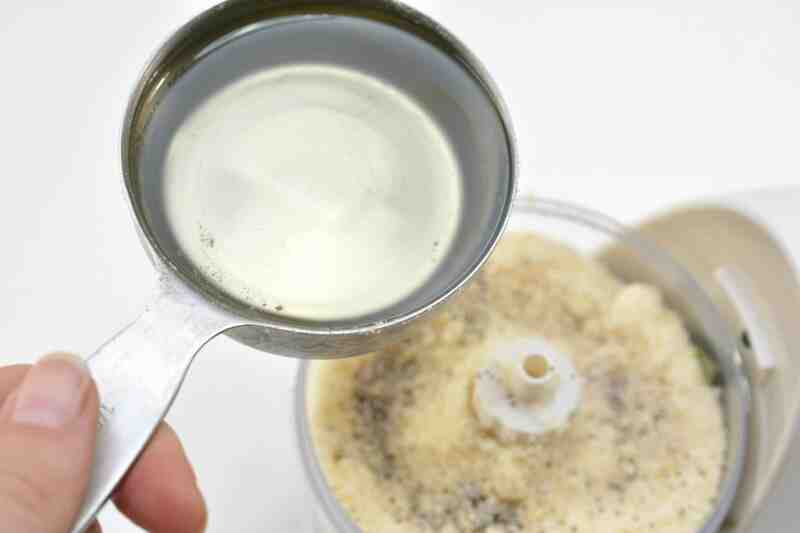 Pour in ½ cup of sunflower oil. 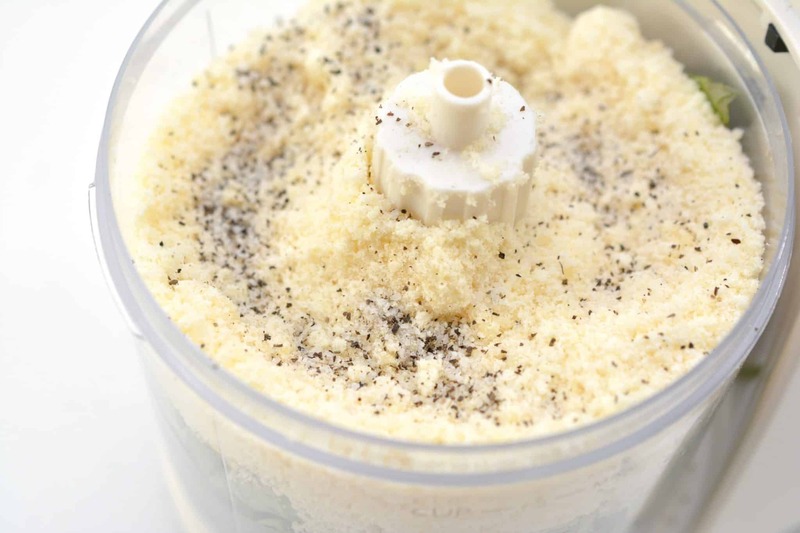 Place the lid on the food processor, and blend for 3-5 minutes until you get the consistency you desire for your pesto. 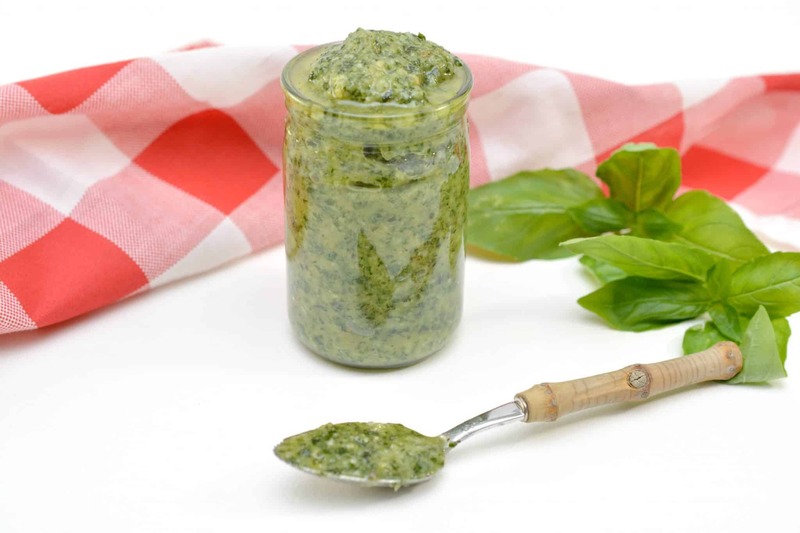 If your pesto seems too dry, you can add a bit more sunflower oil to the mixture. Use immediately. 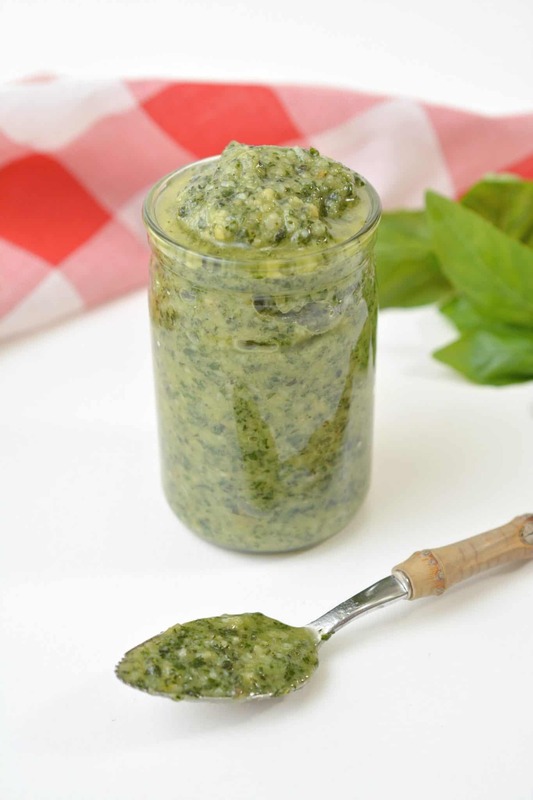 I always turn my homemade pesto into a recipe and use it immediately, but you can also place the pesto into an airtight container and keep it in the fridge for up to a week, or the freezer for 3-4 weeks. What do you put pesto on? 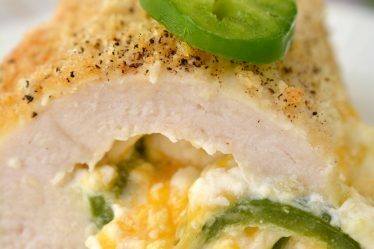 You can use your pesto as sauce on Cauliflower pizza, over chicken or over zoodles. There are so many great ways to eat pesto. 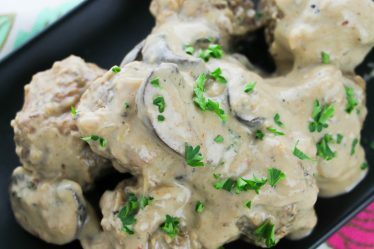 It is a delicious option in the Keto diet. 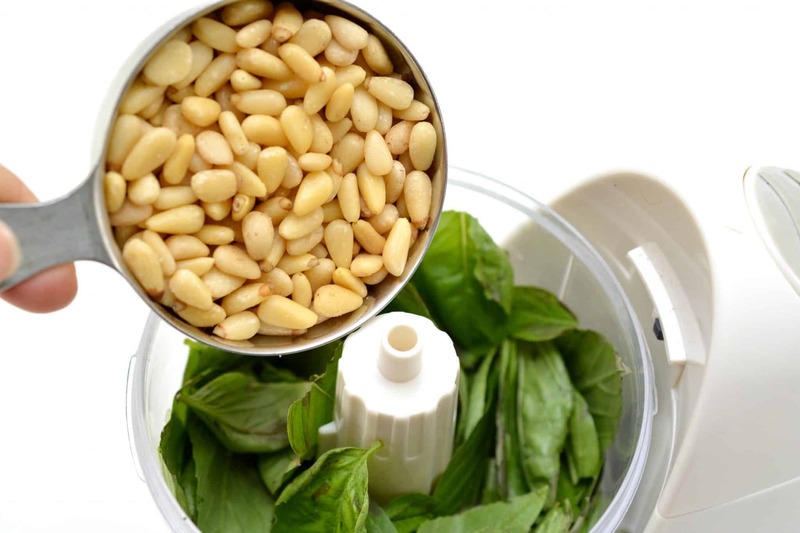 Place the lid on the food processor, and blend for 3-5 minutes until you get the consistency you desire for your pesto. 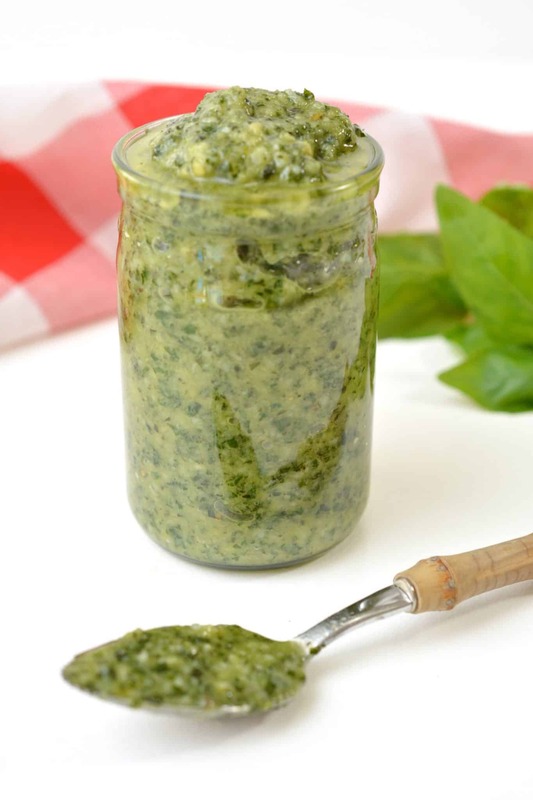 If your pesto seems too dry, you can add a bit more sunflower oil to the mixture. You can also place the pesto into an airtight container and keep it in the fridge for up to a week, or the freezer for 3-4 weeks.